Jerusalem is dear to author Adina Hoffman, who has lived in the city for a quarter of a century and currently divides her time between Jerusalem and New Haven, Conn. 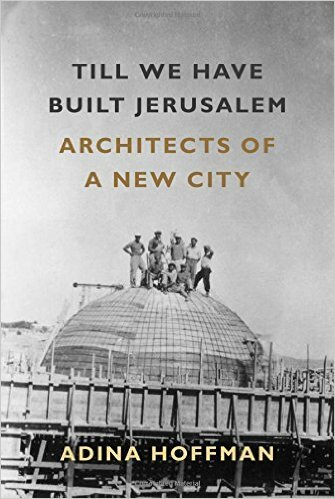 In her fourth book, Till We Have Built Jerusalem: Architects of A New City, Hoffman focuses on three brilliant Jerusalem architects: Erich Mendelsohn, the émigré Jewish-German modernist; Austen St. Barbe Harrison, chief architect in British Palestine from 1922-1937; and the lesser-documented Greek Orthodox architect Spyro Houris, who built intricate homes for successful Jews and Palestinians alike. 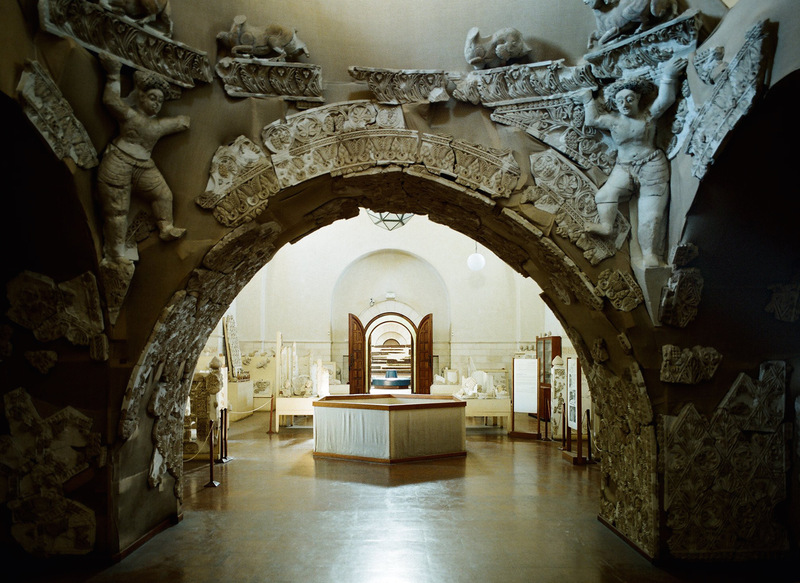 The three artist-builders produced pre-Israel 20th-century buildings, which endure as artistic statements. Moment spoke with Hoffman about her book, her thoughts on architecture and her writing process. You have written on neighborhood and place in Jerusalem before. How does Till We Have Built Jerusalem continue from—and break away from—your previous writing? My first book, House of Windows, was a first-person portrait of the neighborhood where I’ve lived since coming to Jerusalem in the early 90s. History was definitely there, bubbling up underneath everything, as it is everywhere in this city. But that was primarily a book about the place as it seemed to me in the present tense, when I walked out my own front door. Since then I’ve written several books that take on the history of the Middle East in a more direct way, and in Till We Have Built Jerusalem, I engage in an all-out excavation of several layers of the city’s buried past. How did you choose these three architects, and how do they complement each other? The buildings designed by these three are among my favorites in the city. I wanted to find out more about the imaginations that had given rise to these structures I love—so my choice wasn’t exactly scientific. It welled up from my curiosity and desire to learn more about the lives of the architects who created what’s best about the way the modern city looks. When I started, I didn’t actually know very much about them at all. But as I dug through the archives and looked harder at the buildings and started putting the puzzle pieces together, I began to see how, as you say, they each brought various foreign, or worldly, influences to bear on the context of the Palestinian landscape. It’s that meeting in their work—of the local and the foreign, the old and the new—that seems to me to bind them. While they had very different personalities and biographies—one was a difficult German Jewish refugee, one a retiring British civil servant, and one an Arab-Greek-Levantine—they all shared a fascination with hybrid forms and cultures. Your book includes a lot of characters of real presence—British officials and artists, sophisticated Palestinian intellectuals, Jewish middle-class figures and leaders and the famed Turkish-Armenian tiles artisan David Ohannessian. But I think the presence of Luise Mendelsohn in her husband’s life is particularly fascinating. She is something of the anchor in Mendelsohn’s career, is she not? In part because she was an artist, too? You’re right to single Luise out. She was an extremely strong, intelligent and elegant woman, and one whose resourcefulness and imagination made it possible for Mendelsohn to do much of the work he did. She was a serious cellist when she was young, and though she kept playing throughout her life, I think she realized early on that there was only room for one artist in their family. Demanding as Erich was, she understood immediately that he had a kind of genius about him, and she decided to devote herself to helping him and supporting him in his work. After he died, she also did a great deal to preserve his legacy. Although she too is now long gone, she certainly made a huge difference to me as I set out to write about him. Not only did she save the thousands of letters that they exchanged over the years, along with hundreds of his sketches and plans, she also wrote a wonderful, unpublished memoir of their lives together. The intimate perspective she provided was critical to me. What was Mendelsohn trying to do that perhaps people could not appreciate back then, but that we might, even with our divisions, appreciate today? I’m not sure if Mendelsohn’s lessons have really sunk in, in the context of Jerusalem. There are certainly architects today who are interested in borrowing elements of east and west and who try to learn from the climate and from older forms of the local architecture—all things he was fighting for in his day. But for Mendelsohn, these choices were never just about architecture; they were political as well as aesthetic. He envisioned Arabs and Jews coming together in a “future Semitic commonwealth,” and he wanted his European-born colleagues to look around them and realize that the Jews weren’t alone in Palestine and that they had to learn from, live with, and build with the Arabs who were already there. While there are obviously some people in Israel who feel that way now, it’s definitely a minority opinion. Is there anything you wish to add about Till We Have Built Jerusalem? This is a book about building, and while it revolves around a great deal of actual stone-and-mortar construction, that’s not all I mean by the term. The book is also about what it means to envision and try to build a functioning and even thriving city in a social sense. A city in which all the residents have a meaningful place. The way a city looks is a reflection of the way its people choose to treat one another. Surfaces and depths are profoundly linked.